This new rebellion has been a spontaneous movement, organized by the social memory we, as Nicaraguans, have after fighting another dictatorship. Since the late 1950’s people in Nicaragua began actively fighting and opposing the Somoza dictatorship—Anastasio Somoza took power for the first time in 1937. In the mid-1970’s the opposition grew stronger, and in 1979, the Sandinistas came together, and launched the People’s Revolution. Guerrillas, artists, rebels, and civilians united against the somocistas. And on July 19th, 1979, victory was announced. The Sandinista Revolution brought together people like the Cervantes Prize-Winning Author, Sergio Ramírez, the former Catholic priest and poet, Ernesto Cardenal, the poet and novelist Gioconda Belli, and the current Nicaraguan president, Daniel Ortega Saavedra. Ortega later came to power in 1979 for a four-year period and then again in 2007. He has since become a mirror image of Somoza; he has been in office for more than ten years and has recently silenced, threatened, and killed members of the opposition. In mid-April of this year, thousands gathered on the streets of Nicaragua to show their discontent against the government of Daniel Ortega and Rosario Murillo, in particular for issues relating to environmental rights, corruption, public health, and lack of transparency. Four months later, the protests have not slowed down and neither has the repression coming from the Policía Nacional de Nicaragua and other orteguistas. Every day, images of bravery and brutality come from Nicaragua. El presidente, who was once part of the Sandinista revolution that ousted the Somoza dictatorship that shackled the country for more than thirty years, has now become a tyrant himself and has betrayed the ideals that he, alongside writers and activists like Claribel Alegría and Sergio Ramírez, fought so diligently for in the seventies and eighties. 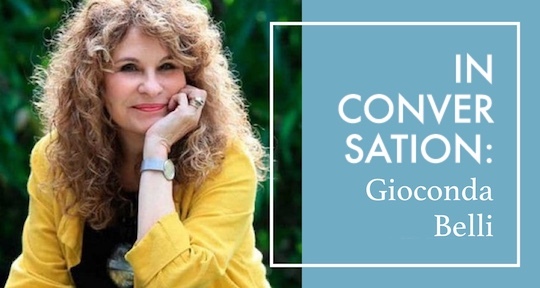 Gioconda Belli, one of Central America’s most beloved and important writers, has openly criticized Daniel Ortega and his government. In early August, the poet and novelist won the Hermann Kesten Prize for her outstanding efforts in support of persecuted writers, and she joined the ranks of other prominent writers and Human Rights advocates, such as Harold Pinter and Iryna Khalip. Belli, who was one of the artists that walked alongside the Sandinista revolution, next to people like Ernesto Cardenal and Carlos Mejía Godoy, says she’s hopeful. “There is always hope,” she says. She also admits she trusts in the Nicaraguan youth that has bravely fought for a fairer society. The revolution, she argues, in the hands of the young men and women marching in Managua, in León, in Masaya, is alive and well. “Whenever you think of tyrants, such as Daniel Ortega, you must remember that their time will eventually come,” she adds. Finally, art, music, and literature, according to Belli, are the tool Nicaragua has to plan for a better future. More than three hundred people have been killed by the hands of the orteguismo since the protests began, on April 18th. Daniel Ortega has been in power since 2007. This week we report from Mexico, Guatemala, and the UK. We’re still elated over the launch of our Spring 2018 issue, but that doesn’t mean the work of compiling literary news ever stops. Our weekly roundup brings us to Mexico, Guatemala, and the United Kingdom. April has been an exciting month for the Tsotsil Maya poetry collective Snichimal Vayuchil. First, on April 12 the collective participated in a transnational indigenous poetry reading with Kimberly L. Becker, a poet of mixed Cherokee, Celtic, and Teutonic descent. Poems were read in English, Spanish, and Tsotsil, with collective coordinator Xun Betán translating several of Becker’s works into Tsotsil. The event was sponsored by Western Carolina University in Cullowhee, North Carolina, United States, and Abuelita Books in San Cristóbal de las Casas, Chiapas, Mexico. We mustn’t be allowed to be jailed by our own countries. Last October, the Spanish publishing house Alfaguara put out Ya nadie llora por mí, the most recent novel from the acclaimed Nicaraguan writer, Sergio Ramírez and sequel to his 2009 novel, El cielo llora por mí (The Sky Cries for Me). A couple of weeks later, the Spanish Ministry of Culture announced that Sergio was the winner of the 2017 Miguel de Cervantes Prize, the most important literary award for Spanish-language writers. Other laureates include Jorge Luis Borges, Carlos Fuentes, and Mario Vargas Llosa. 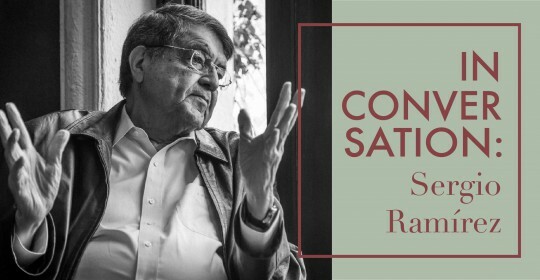 Sergio is the first Central American writer to receive this distinction. He has published around thirty books, two of which have been translated into English: Divine Punishment (McPherson & Company) and the 1998 Alfaguara Prize winning novel Margarita, How Beautiful the Sea (Curbstone Books). Three months later, Sergio and I—his umpteenth interviewer since November—got together at a fancy hotel on the misty mountains of Guatemala City, hours before he presented Ya nadie llora por mí in SOPHOS bookstore. I imagined all the questions Sergio had answered during the past few months. What does it feel like to have won it? Where were you when you got the news? Can you give us a preview of your acceptance speech? I should ask him about his favorite Guatemalan dish, I thought, to shake things up. Sergio is kind but equally incisive, serene, and voracious. He speaks with care and potency about Central American literature, being a writer, and Centro América Cuenta. Hosted in Nicaragua, this is the biggest literary festival of the region that seeks to strengthen Central American writers and bring them closer to the rest of Ibero-America. Sergio, with a cup of coffee in his hand, is also critical of the contaminated reality of his country. A reality from which his work often comes to life. In Ya nadie llora por mí (Nobody cries for me anymore) inspector Dolores Morales has been discharged from the National Police, and he now works as a private investigator. He mostly handles cases about adultery for clients with no money. Then the disappearance of a millionaire’s daughter takes him out of his routine. In Sergio’s latest novel we also get to see how corruption and abuse of power underlie the revolutionary discourse of contemporary Nicaragua. Sergio is arguably the most important Central American writer today. José García Escobar (JGE): What was it like to revisit detective Dolores Morales for your latest book? Did you have the story for Ya nadie llora por mí first, and then realized you needed Dolores to tell it? Or was it the other way around? Sergio Ramírez (SR): I came up with the story first. I wanted to write about Nicaragua today, and for this, I needed a character like Dolores: a detective and former guerrilla. Noir fiction, or novela negra, as we call it, gives me the opportunity to look at the events I’m writing about from afar. With this distance I can add humor, irony. Also, given his background, this character helped work around that distance. Dolores is often bound by his ethic, a type of ethic he picked up from his years as a guerrillero; he uses that critical thought and critical distance for his work, but at the same time he’s always at risk of getting contaminated by that environment. He observes the situations as he would have in the past and is that moral nostalgia and critical distance that allows my character to lead the book. 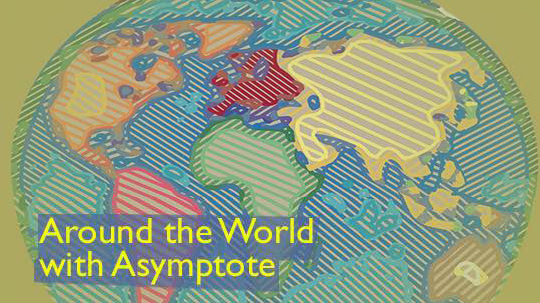 Your weekly literary news from around the world. Our team is always keen to keep you up to speed on the most recent prizes, festivals, and publications regarding the most important writers around the world. With this in mind, we are excited to bring you the latest news from our editors-at-large in Mexico, Central America and Indonesia. Stay tuned for next week! The Tsotsil Maya poetry and book arts collective Snichimal Vayuchil held a book presentation for its latest publication, Uni tsebetik, on November 30 at the La Cosecha Bookstore in San Cristobal de las Casa, Chiapas, Mexico. A collection of works by the group’s female members, the volume was introduced by the Tsotsil sculptor and multimedia artist Maruch Méndez and anthropologist Diane Rus. The event is part of a big month for the group, which includes the publication of their selected works translated into English, and a reading of works from Uni tsebetik at the Tomb of the Red Queen in the Maya archeological site of Palenque. The same night, the State Center for Indigenous Languages, Arts, and Literature (CELALI) held a book presentation for its latest publication, Xch’ulel osil balamil, by poet and artist María Concepción Bautista Vázquez. The anthology Chiapas Maya Awakening contained her work in an English translation by Sean S. Sell, who was interviewed in Asymptote in April. Join us for a spin across the literary world! Another week full of exciting news! Paul and Kelsey bring us up to speed on what’s happening in Mexico and Guatemala. We also have José García providing us with all the updates about Central American literary festivals you could wish for. Finally, we are delighted to welcome aboard our new team-members, Valent and Norman, who share news from Indonesia. In conjunction with partners such as the Forum of Indigenous Binational Organizations (FIOB) and the Indigenous Community Leadership (CIELO), the LA Public Library in California, US, recently announced that it will host the second annual Indigenous Literature Conference on July 29 and 30. As stated on Facebook, the conference’s “first day will be dedicated to the indigenous literature from (the Mexican state of) Oaxaca,” with “the second (being) broader in scope.” Among those slated to participate are the Oakland, California-based Zapotec writer and artist Lamberto Roque Hernández, Zapotec poet Natalia Toledo, and Me’phaa poet Hubert Matiuwaa, whose Xtámbaa was recently reviewed here in Asymptote. On July 14 in Guatemala, K’iche’/Kaqchikel Maya poet Rosa Chávez announced the publication of a new poetry fanzine entitled AB YA YA LA. Limited to 40 in number, each copy is unique and contains different details. Your weekly ride around the literary universe! This week we will bring you up to speed on what’s happening in Central America, Morocco, and Spain. José brings us the latest news from the world of independent bookstores and publishing houses that are a treat for bibliophiles in Central America. Layla too has updates about exciting literary festivals and meets in Spain which bring book lovers together. Jessie shares some sad news from Morocco which however, on an optimistic note, reminds us of the universal reach of literature. On June 20 in San José, Costa Rica, Uruk Editores released Bernabé Berrocal’s second novel Archosaurio (Archosaur). Fellow Costa Rican writers like Aquileo J. Echeverría Prize winner Warren Ulloa and philologist Manuela Álvarez Escobar have called Archosaurio disturbing and captivating. In late 2016 los tres editores publishing house announced its creation in Costa Rica. On June 21 they revealed their first title, Vamos a tocar el agua (Let’s Go Touch the Water) by Luis Chaves, a celebrated author of eleven books, whose work has been translated into German and is considered one of the leading figures of contemporary in Costa Rican poetry. los tres editores is yet to announced the publication date of Chaves’s book. Additionally, the renowned Guatemalan writer Eduardo Halfon and Guggenheim fellow—whose work has been translated into several language including English, French, and Italian—on June 22 presented his novels Pan y Cerveza (Bread and Beer) and Saturno (Saturn). These novels were originally published by Alfaguara in 2003 as a single book titled Esto no es una pipa, Saturno (This is not a pipe, Saturno), and are now separate, as the author originally intended them to be. Pan y Cerveza and Saturno were published thanks to the work of Guatemalan bookstore SOPHOS and Spanish publishing house Jekyll & Jill. Eduardo has also a new book entitled Duelo (Duel) coming out later this year.